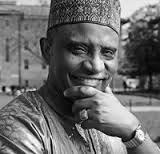 Abdullahi Ahmed An-Na’im (from Sudan) is the Charles Howard Candler Professor of Law at Emory Law, associated professor in the Emory College of Arts and Sciences, and Senior Fellow of the Center for the Study of Law and Religion of Emory University. After reading his book, “What is an American Muslim? : Embracing Faith and Citizenship,” I had a chance to catch up with him over the phone and ask a couple of questions about Muslims, America, and citizenship. Why “What is an American Muslim?” and not the title “Muslim American”? The issue I wanted to address is about being American. So the Americanness and whether that is affected by being Muslim or not. I’m convinced that the subject matter is Americanness and how that it is empowering for being Muslim, rather than in conflict, or in tension with being Muslim. In a different subject, different time, maybe I might do the reverse, if the issue was about being Muslim. But here it is about being an American citizen who happens to be a Muslim. You mentioned that being an American can be empowering for Muslims. In the introduction of your book, you cite a public lecture that you gave at Emory in 2009 on American Muslims and citizenship as a source point for the book. Why focus on citizenship? I think it may have come about from my previous book Islam and the Secular State. [It] was about the question of Islam and the state and separation between Islam and the state, and what happens to politics. In the book I say, in fact, you can not take religion out of politics, so we should not alleviate ourselves to the allusion that we can keep politics free of religion. The question is to understand how to exercise our politics as citizens without allowing the state to be taken over by any religious doctrine. But that is a very ambiguous question. How is that going to happen? I describe it as a paradox. The fact that I acknowledge the connectedness of religion and politics means that I can [acknowledge] there’s going to be a constant effort to take over the state through politics. I cannot just simply assume that people will honor the neutrality of the state. But will try, in fact, to use politics to get to it. So I talk about regulating politics in a way that does not permit that sort of back door hijacking of the state. So anyway those are the issues that I was struggling with and I still am. I got an invitation to present this distinguished faculty lecture and I was thinking of a title. And I was thinking of how the first amendment precedes jurisprudence and thinking in this country and [how] it is very attractive to Muslim rights or what I call “religious self-determination.” I suggested to the organizers I would like to call my lecture, “The Islamic Republic of the United States.” And by that I meant to say, not that the United States is an Islamic Republic, but it is a republic where one can be Muslim by a genuine conviction and practice sense more than any of the states that claim to be Islamic states. That is the point I wanted to make. What matters in the United States is being a citizen. Once you are, then you have the ability to defend your religious choices, your lifestyle choices, your ability to negotiate, create alliances, pursue political issues of power. All of that is possible once we are founded on our citizenship, which acknowledges our religiosity on our terms and then going forward. So, that’s a long answer to your question. No, no. That brought out a lot of things I had been thinking about regarding the concept of religious self-determination. It’s that individual conviction but also being a part of a community, right? Making community decisions. You list certain challenges with this, specifically when it comes to intra-Muslim dialogue. Can you talk a little more about that? Yes, I think the first point…we often tend to assume that being Muslim automatically transforms us into super human beings. That we become noble and selfless, and not power grabbing or ambitious. So all these romantic notions. [We] think being Muslim is like taking panacea. A medicine we take and suddenly we are all these good things. And [we have] to acknowledge that we are not. In fact, being Muslim is precisely to help us fight our way out of those qualities rather than suddenly getting rid of them. So, therefore it is a process. And then when we look really honestly, we see that our racism is still there. Our sexism is still there. Our various types of bias, prejudice, greed, power mongering–all those qualities. It is really a lifetime struggle and the ability to see them and start addressing them is critical. So denial of the existence of the problem is the biggest problem. And then I look around and what do I see in the Muslim communities in the United States? I see racism. I see a sort of ethnic clinginess carried over from the old country that thrives in this country. I see an attitude of superiority and looking down on African American Muslims that somehow their Islam is not up to the standard. This arrogance of we define what Islam is and you have to fit our vision of what it is. I see all of this. And I’m calling on American Muslims to really be honest and acknowledge these challenges and come out and start working. And this country provides the context and environment where we can really come out and sort of expose our dirty linen, knowing that this is the only way we can clean it. Maybe this is outside the scope of your book, but what do you see as a practical sort of way of confronting that? By that I mean, there are Muslims that acknowledge that there is racism, sexism but what do we do about it? Does this happen at conferences like ISNA or is it a daily on-going thing? How do you see reimagining these communities? I think it is immediate. Here and now. Everywhere. It’s not something that you do at conferences. No. It’s something that you do personally, immediately. Where you are, as you are. It is immediately how I deal with my daughter, my sister, my wife. How I interact with people on the street. How I interact with people on public transport. At work, at play. Wherever it is. Immediately beginning to see. Just simply a critical eye to how we behave and what we say and how it could be said differently. My teacher in Sudan–that’s where I learned from him. He says that the way of treating the problems of the self is from inside out and outside in. It is about internal transformation within oneself to begin to think and understand that G’d is constantly with me. Whatever I do. Whatever I say. I am accountable for. That there is nothing I can hide from G’d. That my most secret of secrets of times and places, G’d is there and G’d sees it all. That’s the whole thing. Our frailty and sort of human, fallibility is that we forget that. We don’t really have it present in our minds. If we do, then we wouldn’t do or say the things that we tend to do in private, thinking that we can get away with it. Our way of thinking and behaving and speaking from that we begin to build up an ability to come out and experience and practice our social relationships, our communal relationships out of that new self discovery. So you have internal transformation and you come out into society to test it and to see how you are doing. Then you go back and think about how you did and how could you have done better and to understand the tricks yourself plays on you. And the tricks your mind plays on you to hide things from you. And to sometimes color things differently so you don’t see them in the right color. So, it’s not about conventions, or issues, or declarations. None of that. It is about each and every single one of us self-transforming herself or himself in ways that enable us to see more clearly how we truly interact with others and then coming out and experiencing trying to live to the new standard. I want to move back to citizenship. There are a lot of pros to embracing American citizenship and then I think about a lot of Muslims and maybe even non-Muslims too that reject this American identity because they see themselves belonging to larger transnational communities. They might put international human rights above US citizenship. Does that make sense? I know that happens. And I had it too. As an African Muslim I come with a very heavy burden of negative stereotypes about the United States and what it is doing. And it is not false. It is true that the United States is perpetrating horrendous crimes at home and abroad. And it is true that it is still going on. But so is everywhere else. So is everybody else. There are no innocent places and people. Every place and every people are perpetrating these crimes and committing these atrocities and so on. The difference is that in this country you have more of a possibility of coming out to organize and to educate. The process of transformation that I was talking about. And the point is that here it does not materialize out of just simply wishful thinking. It materialized out of decades and decades of struggle. That is actually people on the streets, and people who died and who fought to gain and secure the freedom I know I can exercise in this country more than I can do in my country of origin–Sudan or in other places. In any case, I start where I am. I always start where I am. I am here so I start from here. And then if there’s anything wrong with what this place is doing elsewhere I don’t accept that this diminishes our commitment to international or universal standards. Because the universal [is seen only] in the particular. They are real and only meaningful when they descend into actual lived experience in time and space. So my commitment to [the] universality of human rights is better served by my locating myself on the ground in a concrete situation where I can defend these rights than just simply romantically talking about them as if they will materialize on their own. Do you have anything else you wanted to add? I would plead with people to raise these issues regardless of where we think we are going with it. In the way I raise the issue, and the issues I choose to raise, I have an agenda. And I have no doubt about that. And I have no shame in acknowledging that. Everyone has an agenda and I think some of us are more honest and upfront about our agenda than others. So I want to say let us be honest about our agenda and defend them and let people make up their minds. And [whether] you agree with the teachings in this book or not don’t ignore it, take it up. The worst thing that could happen with something like this book is to be ignored. Or to be shelved in academic libraries without really being taken seriously. So i hope and pray that people will disagree with me or agree. But I prefer to disagree. Disagreement is more likely to bring life to the issue. Make sure to grab a copy of What is an American Muslim? : Embracing Faith and Citizenship and let us know what you think!